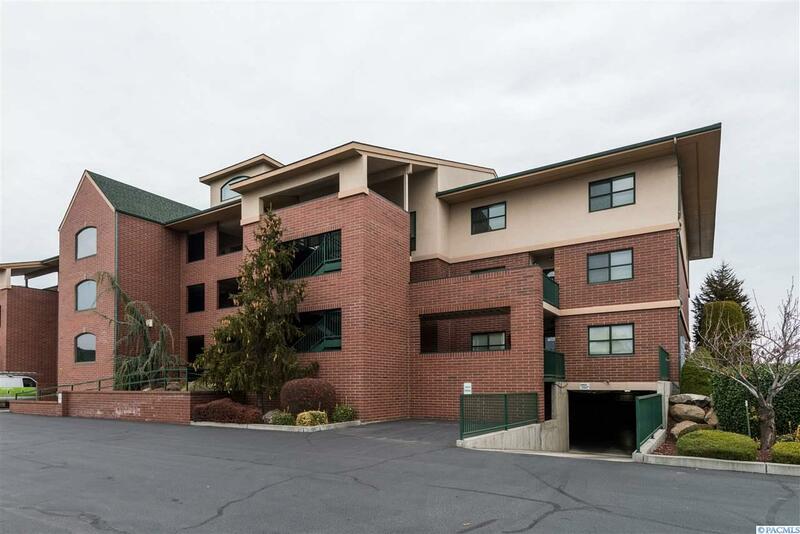 Columbia Point River's Edge Condominiums...rare opportunity for river frontage and ground level Condo unit with panoramic views and direct walking and bike path access. 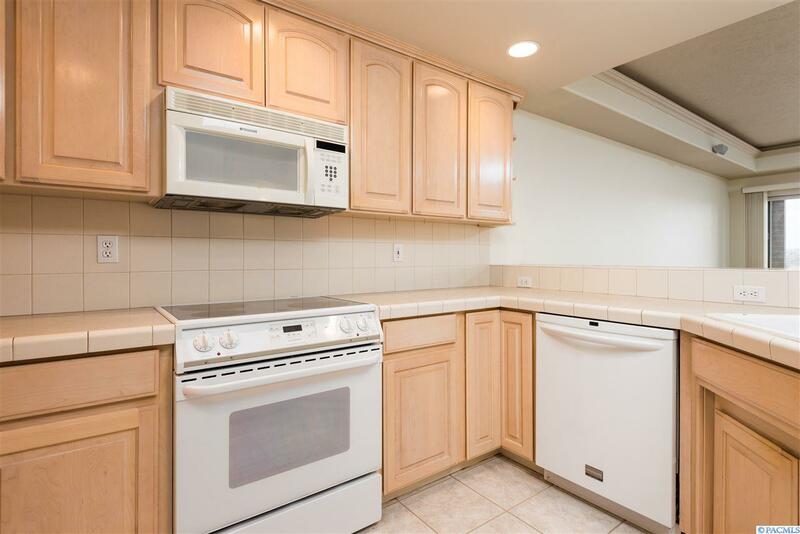 The property features and amenities include three bedrooms, two baths, great room design with split bedrooms and covered private patio. Garage parking is included with separate detached one car garage and underground parking space with elevator service/access. 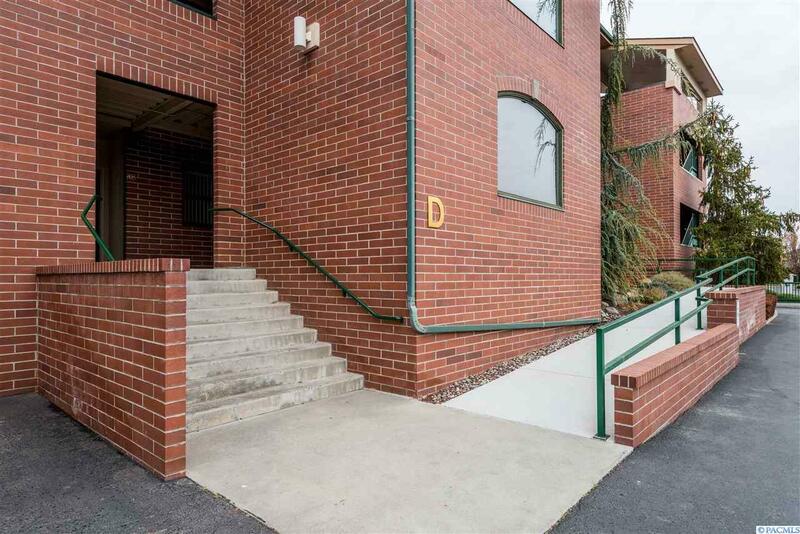 The unit is located in the D building finished in the timeless brick exterior. The River's Edge is conveniently located for so many of your needs and services such as restaurants, wine tasting, Columbia Point Golf Course, Columbia Parks, boat launch, commuting access, airport, river walk and bike path and shopping. 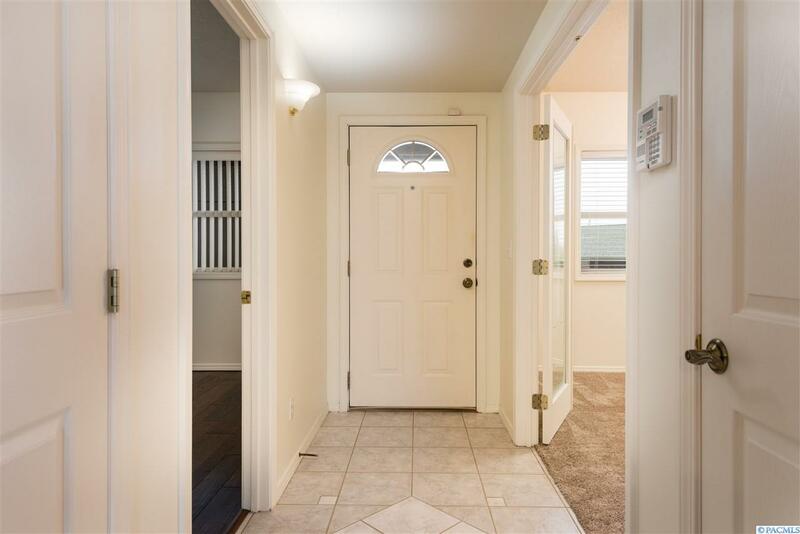 Enjoy the relaxing and tranquil Columbia River views from your main living area and master bedroom. Included in your HOA dues are building structure insurance, water, garbage, snow removal, landscaping, window washing (2 per year), spider spraying (3 per year), water alarm sensors, dryer vent cleaning (every 2 years), exterior painting and maintenance, resealing of asphalt (every 5 years), gazebo area usage, car wash area, exterior Christmas lighting, free outdoor light bulbs available, the building exterior is well lighted for safety. Fireplace is currently electric. However, gas is plumbed. Listing provided courtesy of Retter & Company Sotheby's International Realty. © 2019 Multiple Listing Service of Pacific Regional Multiple Listing Service.